At Moving Service we believe that finding a good removals team in Richmond, TW9 is the key to experiencing a smooth move. That is why our removals company in Richmond is on hand to help you with all of your home, office and general removal needs. With a wide range of vehicles and moving equipment, we can look after small boxes, heavy furniture or expensive equipment with ease. So if you have a move to organise don’t hesitate to give us a call on 020 8746 4402. Our customer services team are knowledgeable about all of our services and can help you find the Richmond removals service of your dreams. All of our services can be tailored to meet your house moving needs and can always be mixed and matched with our optional extras until you get all of the help that you need. Packing, driving, lifting and loading is no problem for our experienced movers who have managed all sorts of large and small house moves across the TW9 and TW10 areas. If you’re not sure how much help you’re going to need then why don’t you ask our advisors for their insight? Our team has been working in the moving industry for many years and can help you understand exactly what sort of Richmond moving service would suit your needs. The area is a beautiful borough within the city of London and has a large number of lush parks, historic houses and open grasslands to discover. Situated 8 miles from Charing Cross and just a fifteen minute train ride from Waterloo, it is a leafy suburb just on the outskirts of central London s. Here you can explore the rich history of Hampton Court Palace or spend an afternoon at the magnificent local theatre before heading out to discover the famous natural beauty of Kew Gardens. Nature-lovers are bound to be amazed by the incredible London Wetlands Centre which is a wonderfully peaceful haven hidden in the heart of the capital city. 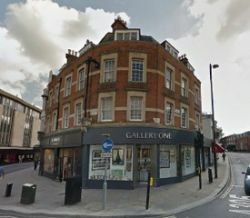 With its myriad of art galleries and designer shops, this suburb is also known for being an affluent major centre which sits alongside the striking River Thames. It sits southwest of London central and has good transport links for commuters and residents alike. The District tube line run through here along with regular over-ground trains, London bus services and good road links. House prices throughout the TW9 and TW10 areas tend to be above the average London rates reflecting its popularity with families and professionals alike. As well as offering excellent services for residential properties, our moving team can also offer first-rate commercial removals packages. Designed to help you manage office, retail or warehouse removals, our business deals are competitively priced and second to none. Our professional movers in Richmond, TW9 are skilled at working with large properties and can make sure that all of your stock or business equipment is moved with the utmost care. In addition to this, our man and van removal teams in Richmond can even offer packing and unpacking services to keep your moving time to a minimum. So if you don’t want your move to get in the way of business operations, make sure you opt for one of our office removals services. All of our Richmond removals services are available to hire seven days a week and will only ever give you the best service around. So if you want to hire a van, book a man and van service or organise a comprehensive removals programme, call 020 8746 4402 to reach our Moving Service team now! We guarantee that our services are by far the best around! Moving Service is tops when it comes to office removals. I've used them twice before and will continue to do so. Best movers in Richmond.